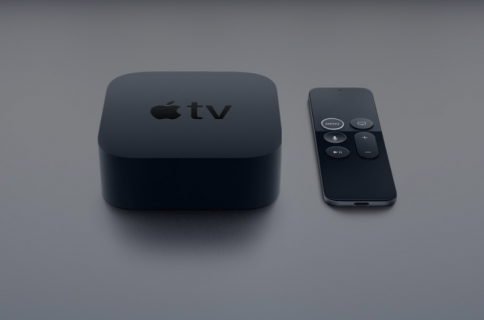 A United States company called Innovelis today announced that its brand new flexible mounting system for the fourth-generation Apple TV set-top box and Siri Remote is available for purchase exclusively via Apple’s retail and online stores around the world. Retailing for just $29.95, this useful accessory is especially convenient for Apple TV fans with a wall-mounted TV. 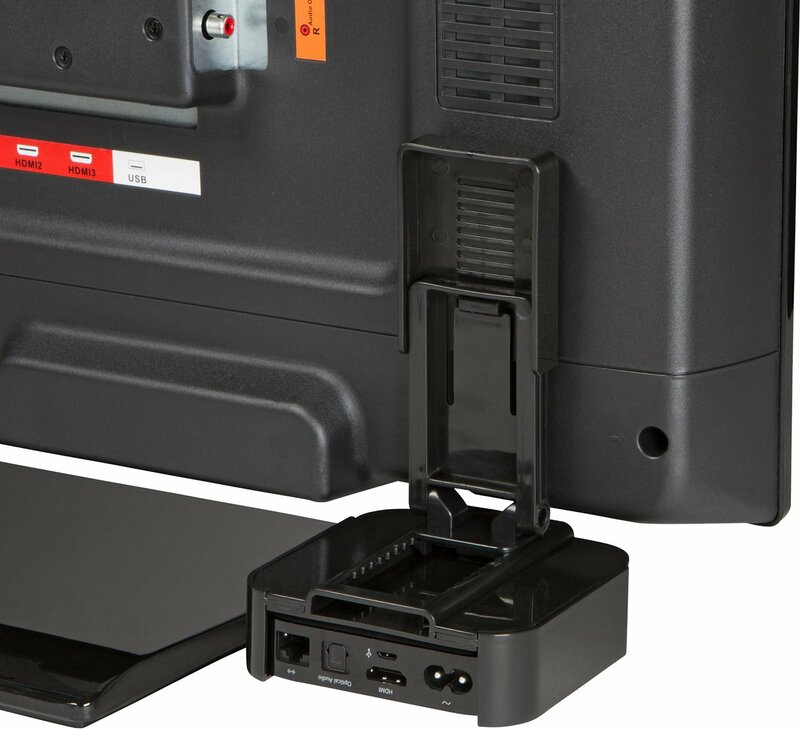 Dubbed the TotalMount Pro, it attaches your Apple TV directly to the back of a television set, helping eliminate both the clutter and the need to tunnel the HDMI cable through the wall from your TV area. 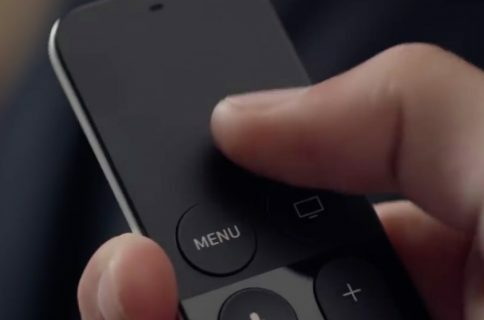 The TotalMount Pro includes a holder for the Siri Remote that attaches to the back or side of your TV, keeping it in a secure place to help avoid losing it. As a bonus, the holder ensures that your remote always maintains a full battery charge. Although a power cord is still necessary, most wall-mounted televisions have a power outlet behind the television. You can also hide your docked Apple TV behind your telly for out of site use, just like this. 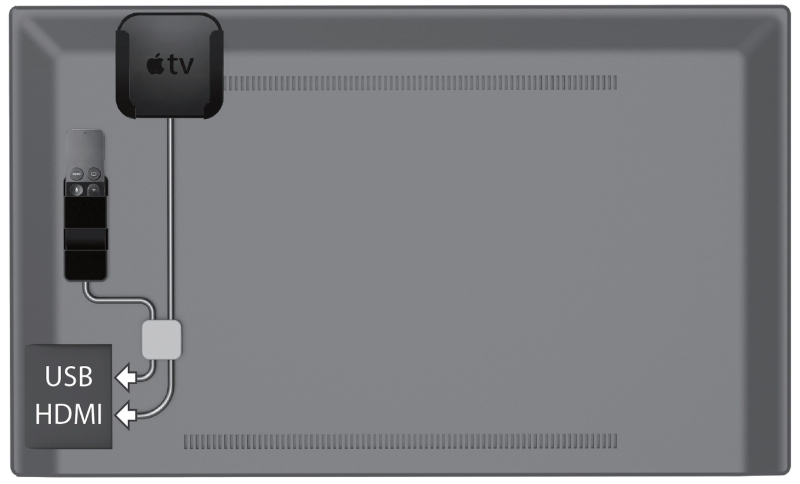 The mounting system positions your Apple TV for the ideal IR reception from the remote. It can be installed in minutes and does not require any tools to set up. The box contains two cable management units to organize your Apple TV power and HDMI cables, keeping them from peeking out from behind your TV. The strategically placed ventilation channels allow cool air to flow under your Apple TV so it doesn’t get hot during normal operation. 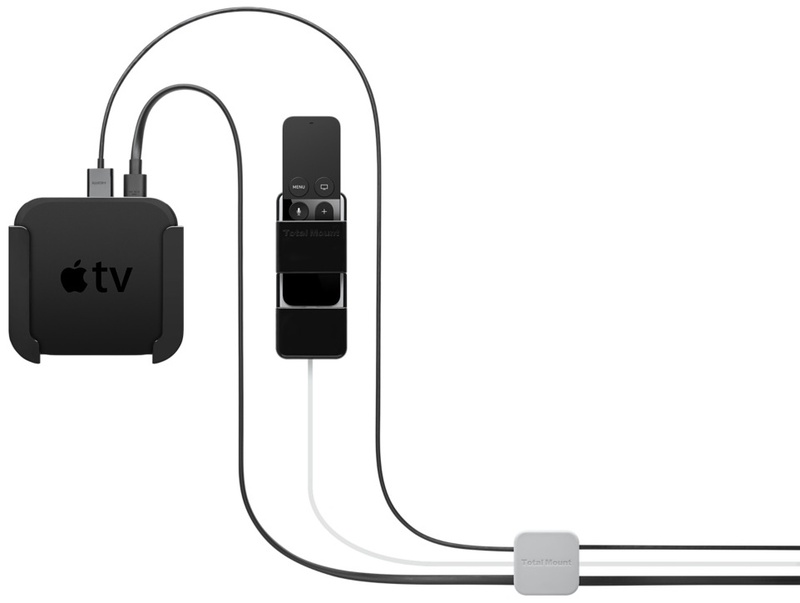 The accessory is compatible with the 2nd, 3rd and 4th generation Apple TV. 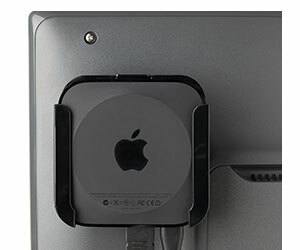 The Innovelis TotalMount Pro is available via the Apple Online Store for $29.95. In exchange for your business, you’ll get a TotalMount Pro, a Siri Remote holder, cable management and an installation guide. 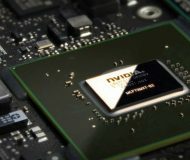 Free shipping is included and the accessory is currently available with an estimated delivery time of one to two weeks.